We are a first-generation, family-owned produce farm established in 2016. Guided by our faith in God and our love for community, our passion and calling is to feed people in both body and spirit. At A Wells Farms we incorporate back-to-Eden style farming practices that go beyond organic. We specialize in seasonal produce and have a one-acre grape vineyard in the valley. 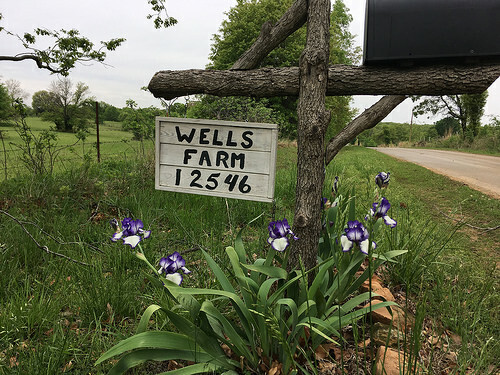 Our farm store, Purpose Driven, will be open every Saturday from May-October offering handcrafted, purposefully chosen products from Oklahoma small businesses. From Seminole: US 270 E 6 mi. Old Hwy 270 E 1.5 mi. 3625 Road 1.5 mi. N.